Several unique styles available- starting at $650. Wedge top tooling is customizable, such as the addition of your brand or initials. If you have further questions or requests please contact us. The original tooled Converse Chuck Taylor shoe, starting at $250. Pricing includes shoe in your choice of color, high or low top. 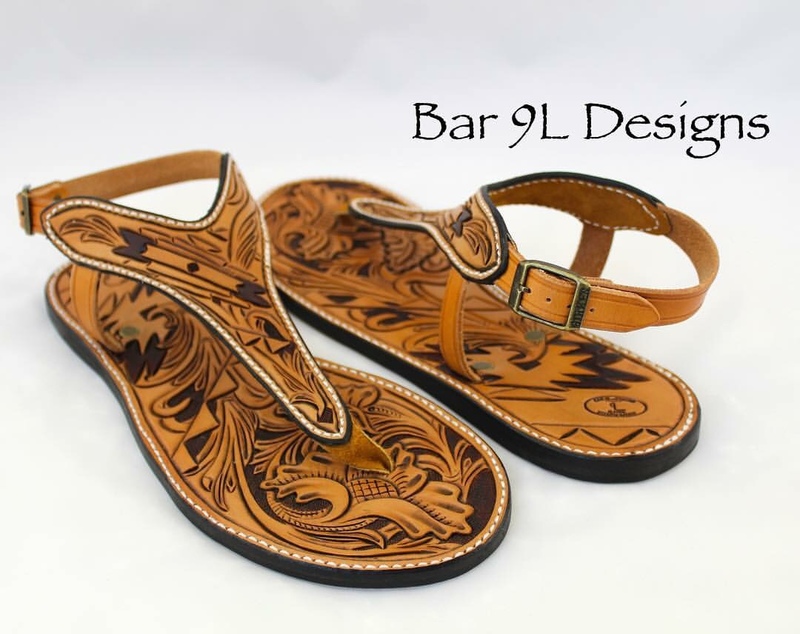 Hand tooled leather flip flop, starting at $300. Tooling is customizable, such as the addition of your brand or initials. Hand tooled leather sandal with buckle closure, starting at $300.